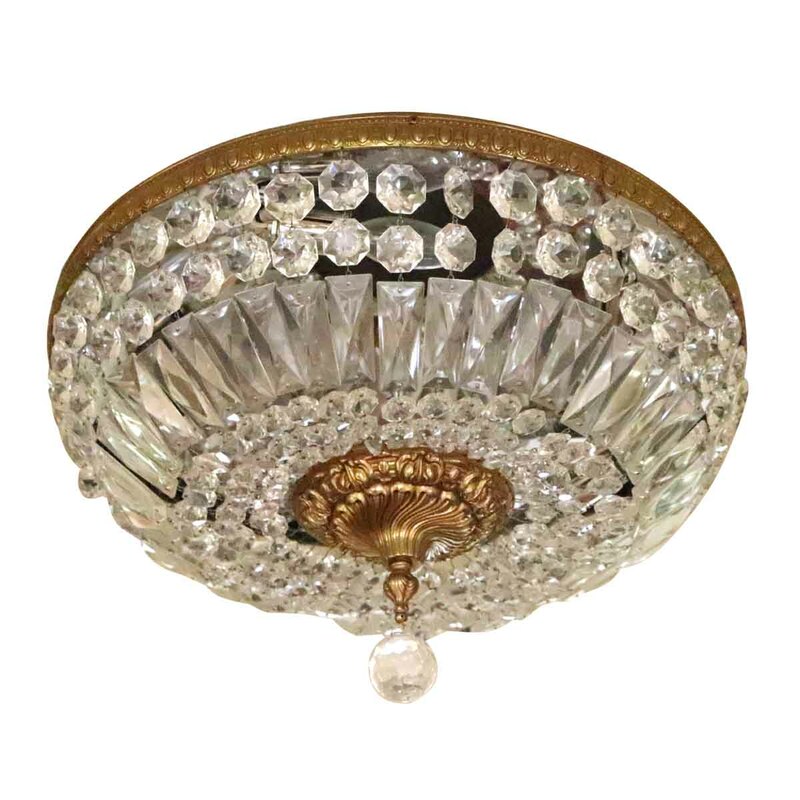 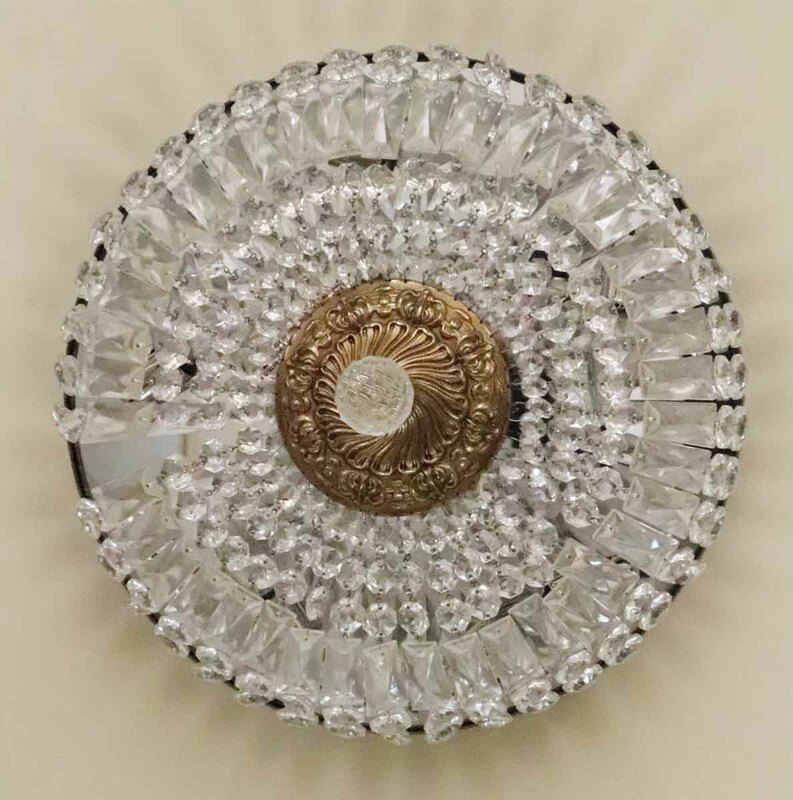 Large Victorian crystal flush mount basket light with a faceted crystal finial. 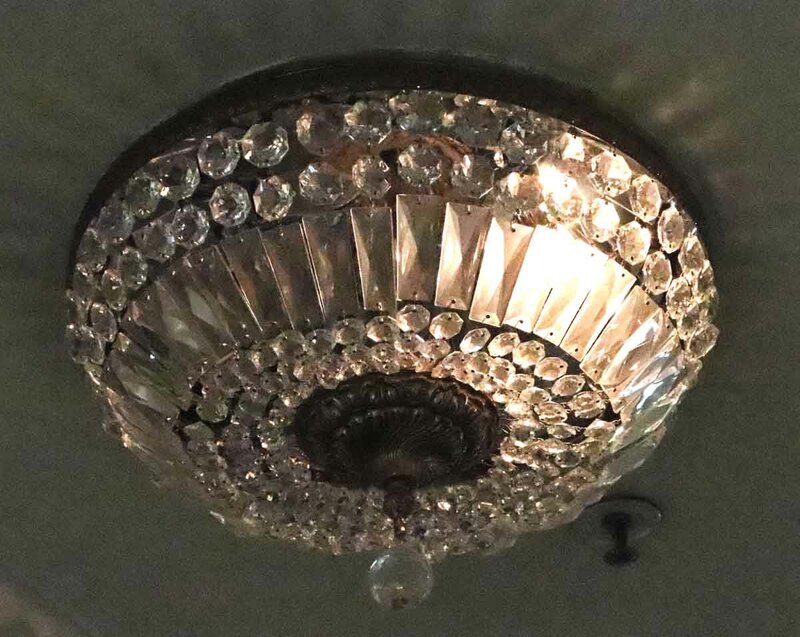 These are original to suite 40Y of the Waldorf Astoria Towers. Priced each.